At first glance legalism appears to be very straightforward, black and white at every turn, a kind of binary approach to religion. You either do or you don’t. You either avoid or indulge. Case closed. Simple, right? Not as you progress into it. The problem comes with the details. For example, what began with ten simple commandments, grew into more than 600 specific commands in the Old Testament, then into an oral commentary and more commands called “a hedge about the law” created by the scribes and Pharisees, then into a lengthy set of multiple tractates and even more commentary and direction. I admire deeply the effort to discern God’s will in every particular of life, but surely this centuries-long development illustrates the irresistible tendency of law-based religion, or forensic faith, to grow in complexity. This forensic approach to religion, on a more visible level, plays to the human tendency to rank, compare, evaluate, censure, and criticize. It is well-represented among Christians who tend to be known more for what we are against, than what we are for. Though this easy verdict against Christianity is often a distortion and a caricature, we have to admit that it has some truth. The major point in this GraceLesson, however, is that the forensic approach to faith tends to become more and more complex. What began simply grows into what Jesus labeled “a heavy burden.” Even Paul, the former Pharisee, came to realize that while the law is good and necessary as a guide to human conduct he would also write: “Christ is the end of the law” (Rom. 10:4). “The written code kills” (2 Cor. 3:6). Also “the law was our custodian” (Gal. 5:24). “You have died to the law. . . . We are discharged from the law, . . . We do not serve under the old written code.” (Rom. 7:4-6). We see in Paul’s critique a tension between the necessity of boundaries and the inadequacy of boundaries to create “a righteousness that exceeds that of the scribes and Pharisees.” That last phrase, of course is from Jesus (Matt. 5:20) who also noted the tension between the necessity for boundaries and the inadequacy of boundaries (see Matt. 5:17-20). In contrast to the heavy, ill-fitting yoke of forensic religion Jesus offered His yoke which is easy (literally kind or perfectly suited) and His burden which is light. Surely what Jesus was emphasizing here is a grace-filled faith that leads us deeper into a relationship with the God of grace. 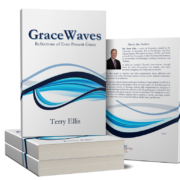 When we begin to attempt to live by grace we are filled with objections, some of which I have already noted. “But people won’t always do what is right.” “People need laws.” “It’s not fair for God to love everyone equally.” “Surely some things cannot be forgiven.” Etc. I’m sure you realize the Elder Brother had some of these same observations about his prodigal younger brother. The point is, when we start with grace it appears complex, naïve, and hopeless. Yet as we learn to let go of our tendencies to appraise, measure, evaluate, and compare ourselves with others we rise to the beautiful simplicity of grace. We love and offer grace not because it is earned, but simply because this is God’s way, and we are being drawn closer to Him. The contrast is very important. Forensic faith begins with a beguiling simplicity that leads to a hopeless complexity. Grace begins with what appears to be a hopeless complexity but delivers us to a distilling simplicity. Like our Father Himself, we too are here to love, serve, sacrifice, forgive, empathize, in short, to share grace. Living this way is manifestly not easy, but neither is it complicated. Grace is ultimately simple.